Fullerenes as advanced materials has broad potential applications in various industries. Its unique cage structure leads to interesting and extraordinary magnetic, superconductive, optical and catalytic properties. However, the application of fullerenes has been restricted because of the difficulty in the synthesis and especially purification of fullerenes. 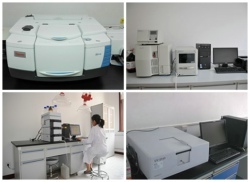 EPRUI Biotech has designed and developed EPRUI-FLC chromatographic resin specifically for the isolation and purification of fullerenes. EPRUI-FLC resin is based on advanced polymerization technique and unique surface modification technology. 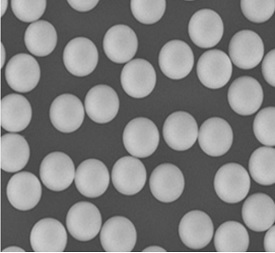 Based on monodisperse resin microparticles with optimal pore structure and binding functional group, EPRUI-FLC is an ideal chromatography media for separation and purification of fullerenes with high efficiency. EPRUI-FLC is stable in almost all aqueous solutions including 1.0 mol/L NaOH, 1.0 mol/L HCl, and other organic solvents, such as methanol, ethanol, acetone, isopropyl alcohol, dimethyl sulfoxide(DMSO), n-propyl alcohol, tetrahydrofuran(THF), and acetonitrile. EPRUI-FLC is resistant to high pressure of 40 bars and temperature up to 60 °C, and maintains its physical properties in stress environment.